I was devastated to learn a few days ago that a very dear friend had passed away. I wish I had had the chance to say goodbye and kiss Andy one last time. From the moment Doug and I picked him up in 2008 from a farm on the verge of sending him to his death, I knew we would be friends—even though he gave us hell trying to get him on the trailer to get him to safety. His expressive eyes, friendly vocalizations and non-subtle ways of letting you know he’d like a belly rub made it easy to fall in love with him so I know I’m not the only one grief-stricken by his death. 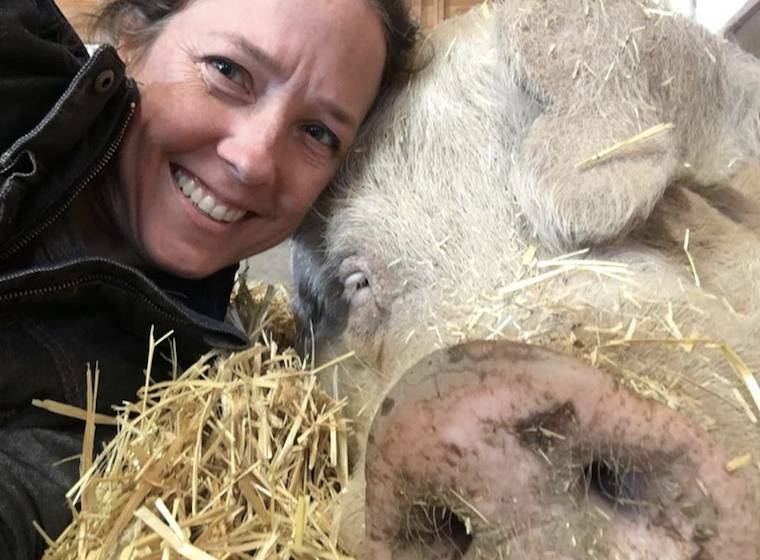 Few pigs will ever know the life that he led which was one surrounded by love and comfort. Rip my sweet friend. I hope there is a heaven for animals because I know that’s where you’ll be - and the thought helps keep me sane.